There is something incredibly gratifying about a story that seems to understands how to be complex. A lot of writers today try their best to craft a complex story, e.g. layered and specific, that they basically suffocate themselves and collapse under their own story details. 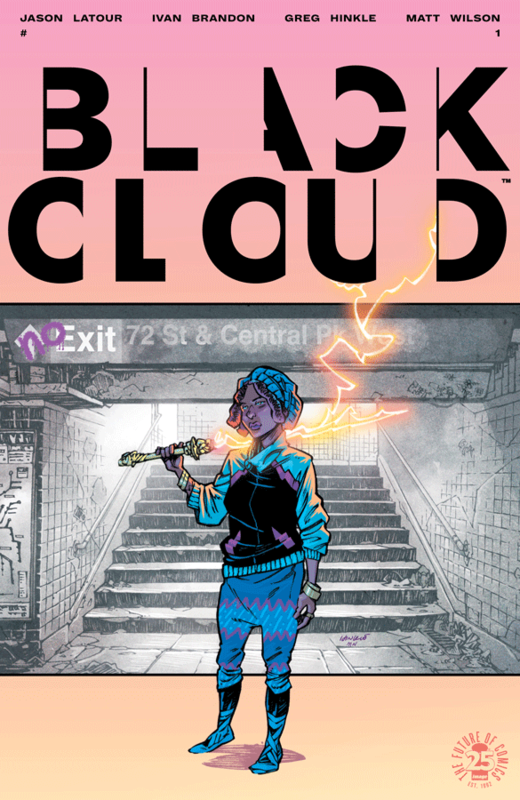 The comic that’s able to correctly be complex is called Black Cloud. This tagline, taken from the comic publishers website, sets the tone for the entirety of the series. This story starts out with Zelda and a mysterious origin; now running and hiding in our world. She does have access to travel to her former home, and will allow people short trips into it … for a price. We see in the issue how she tries to support herself on earth, and how she handles the mysterious past that stalks her. The comic is written by Ivan Brandon and Jason Latour, who seem to be building a sophisticated world that is, so far, complimented well by the 1st issue artists Greg Hinkle and Matt Wilson. In their story there are different worlds ( described as dreams) with the art style adjusting to whichever one we currently see. The series itself lives and breaths “weird”. Reality and imagination seem to always be at odds . We are exploring the world with a protagonist who knows what’s going on, but not exactly what she should do about it. The comic is visually vivid, casually drifting in between awe inspiring beauty and deathly horrifying imagery that can only be produced by a disturbed mind. The visuals, along with the writing, leave the reader in suspense and wonderment of what’s to come next. Black Cloud has been so popular that it’s gone into reprints for the first issue. It’s available from image comics and can be picked up at a comic store or online.